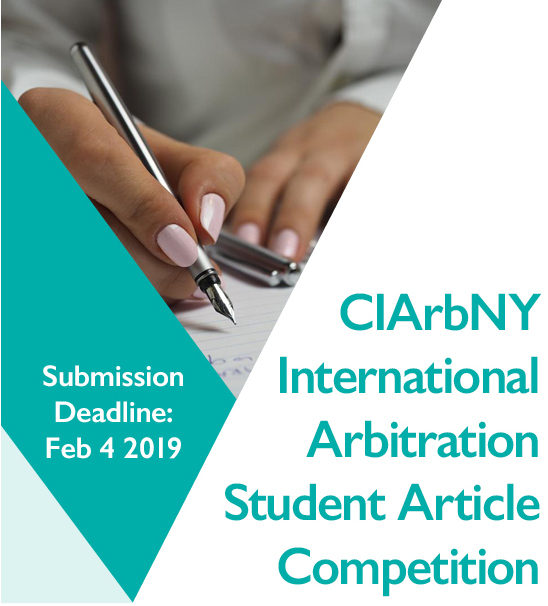 The New York Branch of the Chartered Institute of Arbitrators is pleased to announce the CIArb NY Branch International Arbitration Student Article Competition (the “Competition”). The Competition is open only to qualified law students (see below). It will award up to 3 cash honoraria for the best publishable articles in the area of international arbitration. The Chartered Institute of Arbitrators (the “Institute”), a hundred-year-old Royal Chartered charity in the United Kingdom, is an international organization devoted to promoting excellence in the practice and profession of alternative dispute resolution. Globally and from its London headquarters, the Institute provides education and training for arbitrators, mediators and adjudicators. It also acts as a global hub for practitioners, policy makers, academics and the business community. The Institute supports the global promotion, facilitation and development of all ADR methods. The Institute offers a range of resources including guidance, advice, networking and promotional opportunities, as well as facilities for hearings, meetings and other events. The Institute offers free student membership and has an active Young Members Group (YMG). See www.ciarb.org. The Institute’s growing membership of 15,000 is based across 133 countries and supported by an international network of 39 branches. 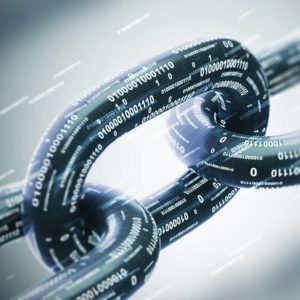 One of those branches, the CIArb NY Branch, a not-for-profit corporation whose territory consists of the States of New York, New Jersey and Connecticut, is the sponsor of this Competition. 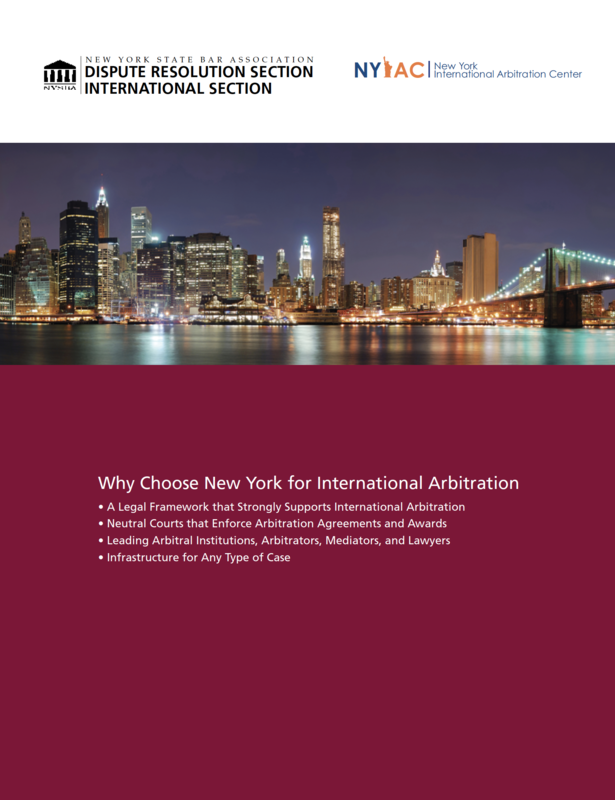 The membership of the CIArb NY Branch includes many of the leading arbitrators, mediators, academics and practicing attorneys in the Branch’s territory. 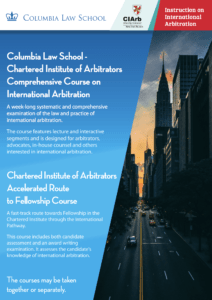 The CIArb NY Branch sponsors, in addition to this Competition, conferences, networking events and educational courses (including an annual one-week course on international arbitration) and supports local YMG events. • be available for publication by the Chartered Institute as set forth below. New Jersey or Connecticut). Participants must submit evidence that they meet the foregoing qualifications before receiving any honorarium. Each participant must work independently in the research, drafting, revision and editing of the participant’s submission, and the work product must be original. Participants may submit only one article and may compete in only one Competition. All participants must comply with all Competition rules and deadlines. If any application is submitted in an incomplete or untimely manner, the submission will not be accepted for consideration in the Competition. There is no financial charge to participate in the Competition. As a condition of receiving any such honorarium, each prize winner must: (i) agree that the Institute shall have the option, but not the obligation, to publish the winner’s article, subject to any publisher’s edits, (ii) submit the article to the Institute, pursuant to the Institute’s instructions, for inclusion in a publication of the Institute’s choice, and (iii) be responsible for all taxes on such honorarium. In order to be eligible for consideration for publication by the Institute, the article must be, at the time of submission and through August 31, 2019, unpublished and not submitted for publication elsewhere. Any other publication of the article shall include an appropriate legend pre-approved by the Institute or the CIArb NY Branch, stating the relationship between the article and the Competition. Participant represents that (a) the article submitted herewith is an original work of the participant who worked independently in the research, drafting, revision and editing of the submission; (b) Participant holds all publication rights related thereto; (c) Participant is a currently registered full-time law student at the law school identified above; and (d) Participant has read and understood the Competition rules and deadlines as published at www.ciarbny.org and agrees to be bound thereby.